Detectives are appealing for information following the burglary of a jewellers in Southport in the early hours of this morning, Monday 4 February. At around 2.50am, the alarm to Rebecca’s Jewellers on Lord Street was activated and patrols attended. A quantity of jewellery was stolen and forensic, CCTV and witness enquiries are ongoing at the scene. Anyone with information is urged to come forward. Detective Inspector Gary Stratton said: “This is early stages of our investigation and we will be reviewing all CCTV locally and speaking to business owners and anyone with information. If you were in the area and saw or heard anything, let us know. 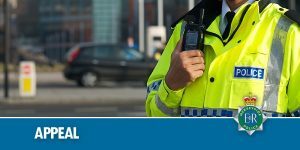 “We are establishing exactly what was stolen but meantime, I would ask if any individuals or businesses have been or are offered jewellery or watches in the Southport or surrounding areas in the coming days and have any suspicions as to their origin, do the right thing and get in contact. Anyone with information is asked to contact @MerPolCC, speak to local officers, or you can contact 101 with reference 19100034532 or @CrimestoppersUK anonymously on 0800 555 111.